As rain or snow melt builds up and pulls on the cover of your pool (whether solid or tarp styled) it’s critical to remove the excess level of pool water in order to keep it away from the sensitive tile border at your water line. If the temperatures drop enough to freeze the surface of your pool, it should be removed to ensure your tiles make it through the cold months without cracking or coming off. Water chemistry also needs regular attention during winterization as the chemistry of your pool water greatly affects the operability of your equipment. 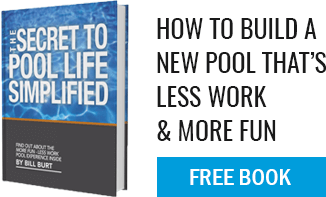 Off-balance water can contribute to early degradation of your pool make-up and cause expensive equipment failures. Now is the critical maintenance period that’s easy to forget. Call our service department at (860) 623-9886 | (800) 722-2782 to discuss what necessary steps you can take or if you need assistance, schedule a Winter Maintenance Service Call with our professionals to ensure minimal winter damage to your pool.